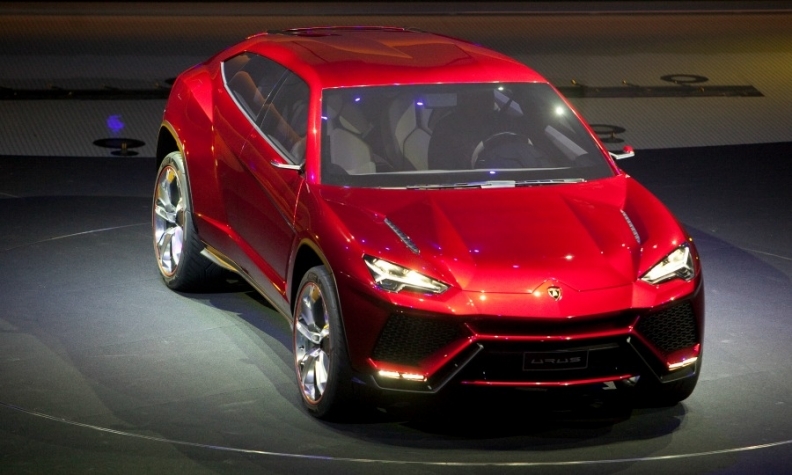 Lamborghini's Urus concept, pictured at its Beijing auto show unveiling, could go on sale in 2017. MILAN (Bloomberg) -- Lamborghini is being offered incentives by Italy's government to make sure the automaker builds a future SUV in the country, according to people familiar with the matter. Prime Minister Matteo Renzi's government may offer as much as 100 million euros ($111 million) in tax breaks and other benefits to ensure that final assembly of the Lamborghini Urus takes place in Italy, said the people, who asked not to be identified because the discussions are private. Lamborghini unveiled a prototype of the high-riding Urus at the 2012 Beijing auto show. Lamborghini has since been refining a business case for the vehicle in an effort to win approval to go ahead with production from its parent, Volkswagen's Audi. If approved, the car will vie with the upcoming Aston Martin DBX as the world's sportiest SUV. Lamborghini aims to get approval to build the model by the end of June, but the timing and final outcome of the talks are difficult to predict, the people said. "We haven't decided on the series production of the Lamborghini Urus yet," Audi said in an e-mailed statement. "Once this has been clarified, the question about the production location will be posed." Audi is seeking to broaden Lamborghini's lineup beyond two-seat supercars, which have limited appeal in emerging markets such as China where road conditions can be poor. The Urus would be Lamborghini's first SUV since the boxy LM002 -- the so-called Rambo Lambo -- was culled from the lineup in 1993. The push comes as the increasing wealth of world's rich led to record sales last year for most major luxury-car makers. Lamborghini's deliveries in 2014 rose 19 percent to an all-time high of 2,530 cars. Lamborghini has previously said there is the potential to sell 3,000 performance crossovers a year, more than doubling the size of the brand. "From an entrepreneurial perspective, it's an opportunity," Audi CEO Rupert Stadler said in an interview at Bloomberg's headquarters in New York earlier this year. To cut costs, the Urus’ chassis and other key components are set to be produced at other VW factories, such as a plant in Bratislava, Slovakia, where the frame for the Porsche Cayenne SUV is made, said the people. Sales will likely begin in 2017, a report said last year. Lamborghini may hire as many as 300 workers to assemble the SUV, the people said. Parallel to talks with the government, the Italian carmaker is also seeking more flexible working hours from local unions.